Chaka Chikodzi is an Ontario-based stone sculptor originally from Zimbabwe. He learned the stone sculpting tradition at the age of thirteen under the tutelage of an older brother. Chikodzi's work explores the nexus between geological time and human memory that facilitates his conversation with the materiality of the stone. By thinking about the stone as a kind of supernatural material that transports him to future historical moments, Chaka examines the current politics of display in cultures of reception of Zimbabwean stone sculpture. All your holiday shopping wishes come true at Artfest Christmas in the Kingston 1000 Islands Sportsplex, December 6-9. Posted on December 4, 2018 by Lory MacDonald and filed under Sculpture and tagged ArtfestChristmas #ChristmasCrafts #ygk #ygkarts #kingston #ChristmasShopping #Gp_Vgt. Named after the aurora borealis that we see here in Canada, Aurora Light Sculptures is inspired by the that flow of light to create the lines in their lighted sculptures. Starting from a base of driftwood or antler, reed create the shape and then covered with paper to give a glow to the light. Posted on December 3, 2018 by Lory MacDonald and filed under Home Decor, Sculpture and tagged ArtfestChristmas #ChristmasCrafts #ygk #ygkarts #kingston #ChristmasShopping #Gp_Vgt. Roses Without Thorns is a Toronto based craft business that is specialized in Paper Crafts. Kirigami (Art of Paper Cutting) is an ancient Japanese art that is very popular in Asia. 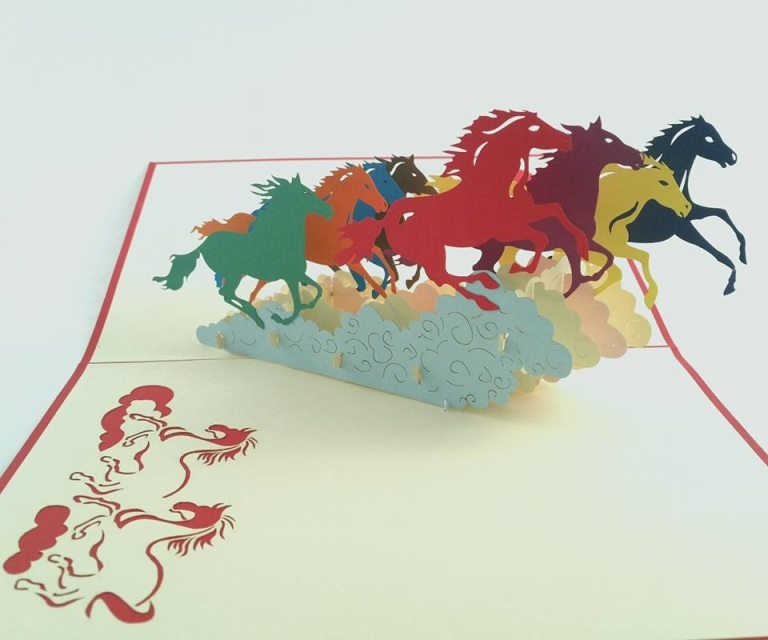 Vietnam born artist Link Tong learned his craft when his family began a craft business creating and developing 3D pop-up card using the new technology of laser cuting. Link moved to Canada in late 2004 to pursue his study in craft and design. A graduate of Ottawa's Algonquin College, Link founded Roses Without Thorns and the pop-up cards are now hand assembled in Toronto. Posted on October 24, 2018 by Lory MacDonald and filed under Sculpture, Home Decor and tagged ArtfestChristmas #ChristmasCrafts #ygk #ygkarts #kingston #ChristmasShopping. I have a confession to make. I am a pottery fanatic, and have been for many years. My home is filled with beautiful pieces I have collected in a variety of styles, over my 35 years as a craft show attendee. Having also exhibited in hundreds of shows as an artist, I’m fortunate to have traded for much of my eclectic mix of art pieces. The colour blue is one of my favourites, as it matches my kitchen; I have to admit though, I own every colour in the rainbow. After all these years, my addiction is still alive and well. And, now that I am a craft show organizer, I get to peruse the work of all of the pottery artists. I am particularly attracted to bowls and mugs…and small little dishes, and plates of course, because they’re so functional as well being beautiful, so I truly use and enjoy them. Which brings me to the real story here, which is the wonderful selection available at Artfest Toronto at the Distillery Historic District in downtown Toronto this Victoria Day long weekend! Posted on May 8, 2018 by Lory MacDonald and filed under Sculpture, Pottery and tagged Pottery Ceramics Artfest Toronto Artfest Sculpture. Artfest Toronto features a unique selection of pottery and sculpture artisans who work with their hands to create one-of-a-kind art pieces. Magnificent, really!! 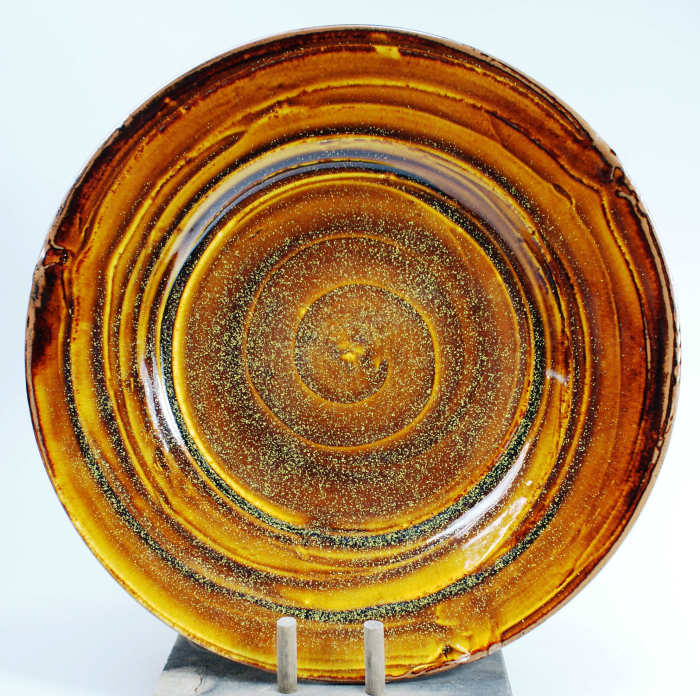 Whatever styles attract you most, there is a wonderful variety of sculpture and ceramic art at Artfest where are are sure to find the perfect piece for your home. The pottery is completely functional and most pieces can even go in the dishwasher! What a great way to upscale your home's decor with a beautiful hand crafted Canadian art piece from Artfest Toronto. The show takes place from Sept 1st to 4th at the Distillery Historic District in downtown Toronto. The perfect setting and something for everyone at Artfest! Posted on August 31, 2017 by Lory MacDonald and filed under Sculpture, Pottery and tagged Sculpture Artfest Toronto Distillery Pottery Ceramics. Fantasy Clay Characters crafted from Nature! Kismet Clay Designs crafts magical characters from nature showcased at Artfest Kingston, 2017. "I am a mixed media artist who loves to sculpt fantasy characters and creatures out of clay. 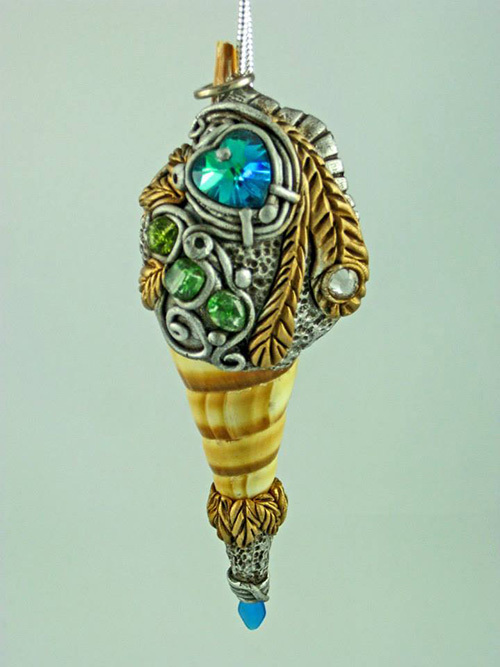 I have fun embellishing them with things I find in nature like shells, moss, acorns, pine cones, pebbles or whatever I feel the character needs to bring them to life. I also make medieval goblets which have crystals or semi-precious stones embedded in the clay. All of my work comes with a story about the character or goblet as well as care instructions. I have sold my work in Hamilton, Burlington, Toronto, Pickering, Kingston, and Ottawa." Kismet Clay Designs ~ Exhibiting at Artfest Kingston from July 1st - 4th - 10am - 6pm, daily at beautiful City Park. Posted on June 6, 2017 by Lory MacDonald and filed under Sculpture and tagged Kismet Designs Artfest Kingston Artfest Sculpture Clay. Blacksmith artisan, Kyle Thornley - will be exhibiting his metal artwork at our Artfest Port Credit show, May 26th- 28th! Kyle Thornley has been in both the artistic and architectural blacksmiths field since 2005 with the establishment of Metal Mind Forge in 2009. Through commissioned works, functional pieces, architectural metalwork and exhibitions, he is deeply committed to the practice. Kyle finds blacksmith work totally engaging with both the intellectual and physical demands – visualizing a goal, establishing the creation process, and acting on that plan with a mind open to alterations and innovations in form. This progression requires handling multiple images in rapid succession: the fire, the plasticity of the iron, the feel of the hammer, and the expectations for shape – a process that is both exciting and sustaining. Kyle uses both traditional techniques and modern processes to maximize the properties and integrity of the steel; the design possibilities with metal are infinite. When working with fire, manipulating the material, feeling the weight and textures, all senses are connected to the matter and the process. This is when Kyle feels he fully understands the historic roots of blacksmithing’s in the human experience. Kyle’s belief in the power of community to effect change is mirrored in the generous spirit of the global blacksmithing community through which he has incorporated knowledge and resources from master smiths around the world with his own individual study and experimentation. Kyle has a strong commitment to share this rich and historic practice. Each forged creation by Kyle Thornley of Metal Mind Forge is distinctive with unique features of texture, size and finish. The blacksmithed metal designs range from traditional to contemporary highlighting the endless compositional possibilities of heat and hammers bringing life to industrial steel. The products extend from functional to fine art - from forged candle holders, shelving, fireplace tools to garden sculpture, art vessels, contemporary sculpture. Posted on May 16, 2017 by Lory MacDonald and filed under Sculpture, Other, Metal Art and tagged Blacksmith Kyle Thornley Artfest Port Credit Metal Art. After a career in the fashion industry as a designer, manufacturer and teacher, Catherine Soucy ended up in the e-commerce industry. Nonetheless, her passion for sewing continues as a proud designer of handmade and dyed, organic cotton baby clothing and gifts. Catherine Soucy's passion for sewing goes back to when she was just a small child. She has always loved making clothing for kids. At age four, Catherine began sewing and she hasn't stopped since. Her one-of-a-kind Catherine Soucy clothing line is created with care and love from organic cotton that has been hand dipped in natural dyes. Catherine is thrilled to present you with her Eco-friendly collection of clothing and gifts for babies at two of Artfest Ontario's events, Kingston & Toronto. Visit her website to order online or to see her remarkable collection: https://www.catherinesoucy.ca/. 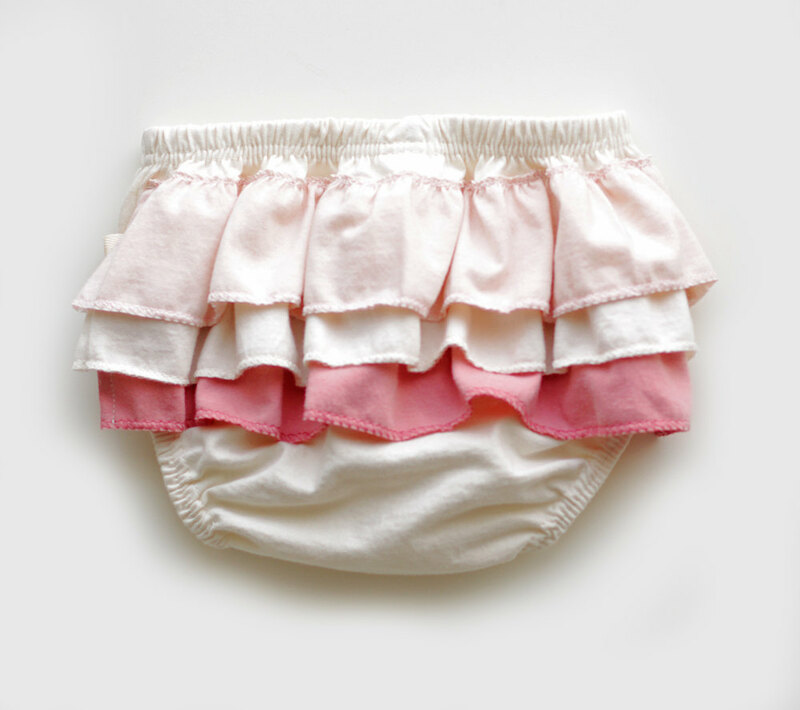 Posted on May 11, 2017 by Lory MacDonald and filed under Artfest Kids, Clothing, Children, Sculpture and tagged Catherine Soucy Childrens Clothing Handmade Clothing Baby gifts Eco Friendly Organic Cotton Hand Dipped Natural Dyes. Zimbabwe Artist Chaka features his work at Artfest Toronto! Zimbabwe artist, Chaka, is back once again to showcase his cultural creations at Artfest Toronto this Labour Day long weekend at the one and only Distillery Historic District in Toronto. Chaka creates breathtaking sculptures from Zimbabwe stone as well as up-cycled silver-wear. Stone sculpture from Zimbabwe has been called 'Shona Sculpture', named after the largest tribe in Zimbabwe. This stone has played a fundamental role in the lives of Zimbabwean people for many generations, whether for building houses or creating sculpture. It is quite fitting that the name Zimbabwe came from the Shona phrase, dzimba dzamabwe - meaning 'great house of stone'. Did you know that the word Zimbabwe means house of stone? In fact, Zimbabwe is renowned for its wide variety and abundance of volcanic rock. Chaka Chikodzi will be exhibiting at Artfest Toronto on Trinity Lane, from Sept 2nd - 5th. He welcomes you and shares his knowledge about Zimbabwe stone art. Be sure to check out his sculpture art and say hi! Chaka's work is quickly evolving and he is busy trying to keep up with his ever growing demand for his cultural creations! "My own artistic practice as a sculptor began when I was a youth in Zimbabwe. The country’s economy was in decline; sculpting offered an opportunity to create income while expressing the difficulties of our postcolonial atmosphere. Working in Canada, my artistic practice has helped me connect my experience with Canadians. Sculpting is very much directed by the stone’s natural formation; I work in cooperation with the stone to create forms that highlight its original beauty. The sculpting process is labour-intensive, and takes patience and focus, working with only hand-tools is an experience counter to the majority of activities that young Canadians of all backgrounds are used to participating in. Zimbabwean stone sculpture is a good news story. Its subject matter reflects the lives of people struggling and celebrating life." Posted on August 18, 2016 by Lory MacDonald and filed under Sculpture and tagged Chaka Zimbabwe Stone Stone Sculpture Artfest Toronto. Olena and Vladamir create together and are inspired by the beauty of Canadian landscape. See them at Artfest Toronto at the Distillery District coming up on Labour Day weekend in booth E14 & 15 on Gristmill Lane. Olena Lopatina was born in Ukraine and graduated from the Academy of Art and Design with a Bachelor in Fine Arts degree. She moved to Canada in 1997 and now lives in Stouffville, Ontario. After moving to Canada, she attained a degree in Computer Graphic Design and Multimedia Web Design. She then became an active artist in the community. Her love of art came at an early age. The inspiration of nature – landscapes, waterscapes, and floral became the themes of her paintings. As an intuitive painter, she finds beauty in her surroundings and enjoys painting what inspires her; using oils to portray that beauty. Vladimir Lopatin was born in St. Petersburg, Russia. 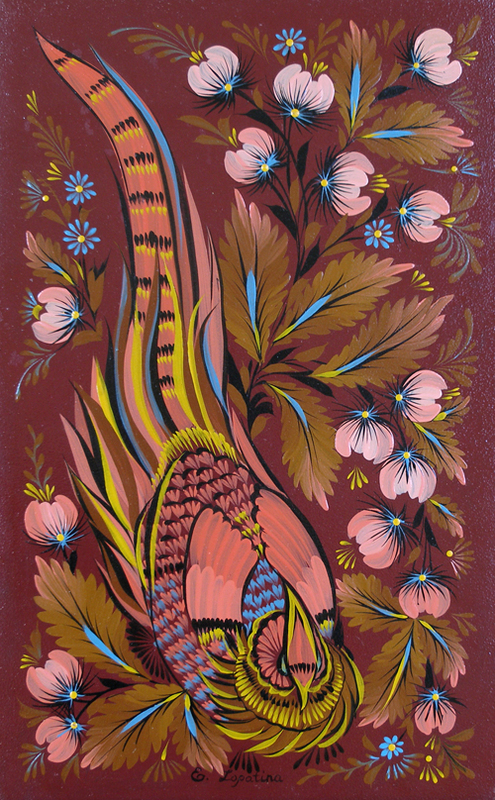 He attained a Bachelor of Arts degree at the Academy of Art and Design in Kharkov, Ukraine. He moved to Canada in 1997 and now lives in Stouffville, Ontario. His interest and love of art began during childhood and became a lifelong passion. He likes to work using different materials like oil, pastel, and watercolor, but he finds oil paint and wood sculptures to be the ideal mediums to express his passion for art. He paints and sculpts the world he lives in. Nature gives him an endless supply of forms and patterns for inspiration. His inspiration comes from the shadowing, curvature, shape, color, and texture of the wood itself. His art is stylized fantasy rather than realism. Posted on August 16, 2016 by Lory MacDonald and filed under Paintings, Sculpture, Wood Crafts and tagged Artfest Toronto Artfest Disillery District Toronto torontonow toronto star Now magazine what's on toronto. Posted on June 14, 2016 by Lory MacDonald and filed under Sculpture and tagged Sculpture art art workshop Zimbawe Stone Sculpting Kingston Artfest Kingston Canada Day Things to do Youth. Abstract & Surrealistic Soapstone Carvings at Artfest Toronto! Soapstone carver and artisan, Ronald Leach, makes carvings in a variety of styles, including abstract and surrealistic. Most of his work is created with Canadian soapstone from Quebec or B.C., but he may also use Spanish or Italian alabaster. Work begins by cutting the stone with a bowsaw and creating the rough shape with files or a flexible-shaft grinder. The carving is carefully finished with riffler files. Each sculpture is hand-polished by Ronald and his wife, using wet-dry sandpaper and finished with beeswax. Self-taught in the art of carving, Ronald he has been carving stone for almost 40 years. He began as a woodcarver, but was quickly drawn to soapstone because it offered greater strength and a certain permanence in our fast changing world. Always striving for excellence in craftsmanship, Ronald enjoys the challenge of producing a carving that will show off the grain and unique qualities of each individual stone . Where the soapstone magic happens in Ronald Leaches studio! Over the years, Ronald has experimented with a variety of methods of combining soapstone with other materials, adding new dimensions to his carvings. He has been involved in many art and craft shows, from North Bay to Windsor, and his sculptures now reside in over two dozen countries around the world. In addition to creating his art work, Ronald also thoroughly enjoys sharing his experience and expertise with others, having taught carving to children and adults over the years. His studio is next to his cottage on the Kahshe River, near Gravenhurst, and is accessible only by water. There he works from spring until the winter snow falls. Ronald takes great pride in his work, and even though he does not carve profusely, he endeavours to keep his creations reasonably priced so that more people can enjoy them. Posted on August 20, 2015 by Lory MacDonald and filed under Sculpture, Other and tagged Ronald Leach Artfest Toronto Artfest Soapstone Carver. AfricVille Stone Art showcasing at Artfest Toronto! "Africville was a black community within the city of Halifax, inhabited by approximately four hundred people, comprising eight families." -Source - http://africville.org/. Founder of AfricVille, Chaka Chikodzi, carves traditional art that represents this small black community and continues to share his story and culture with many through his detailed stone art. Zimbabwe artist, Chaka, is back once again to showcase his cultural creations at Artfest Toronto this Labour Day long weekend. Stone sculpture from Zimbabwe has been called 'Shona Sculpture', named after the largest tribe in Zimbabwe. This stone has played a fundamental role in the lives of Zimbabwean people for many generations, whether for building houses or creating sculpture. It is quite fitting that the name Zimbabwe came from the Shona phrase, dzimba dzamabwe - meaning 'great house of stone'. Visit Chaka's website to see more of his stone work. He will be exhibiting at Artfest Toronto, from Sept 4 - 7 at the Distillery Historic District in Toronto. Chaka will welcome you and educate you about Zimbabwe stone art with open arms! Posted on August 5, 2015 by Lory MacDonald and filed under Sculpture and tagged Artfest Toronto Zimbabwe Stone Sculpture. 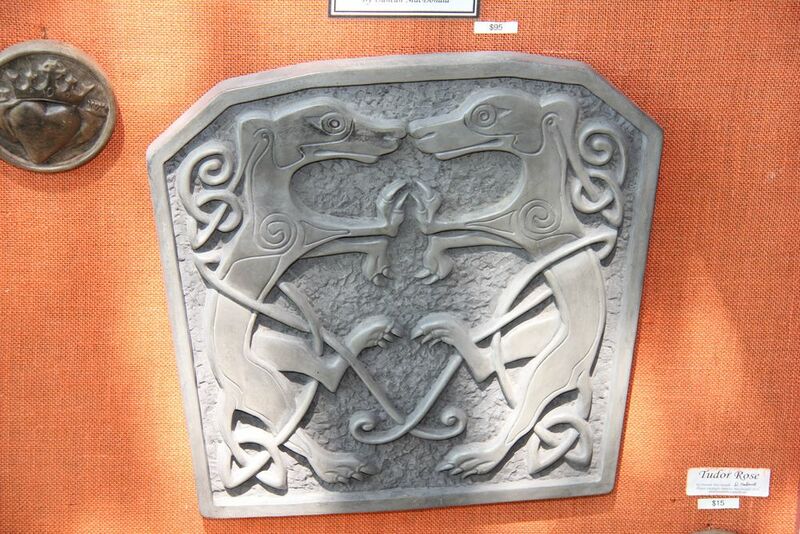 Duncan's Celtic stonework is an outstanding addition to the Artfest shows. He will be exhibiting in Toronto this upcoming Labour Day long weekend at the Historic Distillery District. His Clan badges have become collector pieces, and he has a worldwide following. Be sure to visit Duncan at the show, where you may discover your family history and stories. He has researched them extensively and has some great stories to share! Duncan MacDonald is a native of Britain, with his studio on the Isle of Islay. In 1992 he committed to sculpting full time, after many years of creating props and scene design for the British film industry. Duncan's original work is inspired by traditional Pictish and Celtic images while his historic pieces incorporate pivotal moments in Celtic history. His desire to express this history comes from his connection to it, with his mother from the North of Wales, and his father from the Highlands of Scotland. Duncan tells this history in his own distinctive voice. He carves his original work after researching the history relevant to the piece. The background story of each piece is included with his work, thereby passing on this link with history. The original sculpture is then cast in cement fondue - a traditional process originating in 18th century France. This all natural medium creates fine, delicate detail suitable for indoor presentation, or outdoor exposure. The old stone polishing technique of hand waxing and bristle buffing, brings up any marbling created by the natural mineral colouring. Duncan moved to Canada after meeting his wife who visited Islay to search out information on her ancestors who left Islay in 1856. They married in 2004 and reside on the farm settled by her original Islay ancestors. Duncan continues to develop his Celtic stonework both at home on the Blue Mountains near Collingwood, Ontario and on Islay. Posted on July 27, 2015 by Lory MacDonald and filed under Sculpture, Other and tagged Duncans Stonework Artfest Toronto Artfest Celtic. Owner of Buck Lake Creations, Lorraine Twist, creates sculptures from a variety of materials including dough, plastic, logs and driftwood. Her work includes a variety of dough people, clowns, kitchen witches and pvc plastic birds for interior or exterior and some are even equiped with solar lights! Posted on June 26, 2015 by Lory MacDonald and filed under Sculpture, Other and tagged Buck Lake Creations Artfest Kingston Artfest Outdoor Birds. Steel & Stone Sculpture for your home and garden! Colin Logan creates one-of-a-kind stone sculptures for your home or garden. His garden art collection includes a variety of birds, turtles, Canada geese, dragonfly's, fish and more! Colin logan is a self taught artist who grew up on the farmlands of Norfolk County. "I have always loved the ancient individuality of stone. Each one is unique. I try to bring a lifelike animation to my work. I think I may have succeeded, judging from the smiles my creations bring." Stop by Colin's booth and check out his garden art this upcoming Canada Day long weekend from July 1st - 4th. Posted on June 16, 2015 by Lory MacDonald and filed under Sculpture, Other and tagged Steel Stone Sculputre Artfest Kingston Artfest Home Decor Garden Decor. 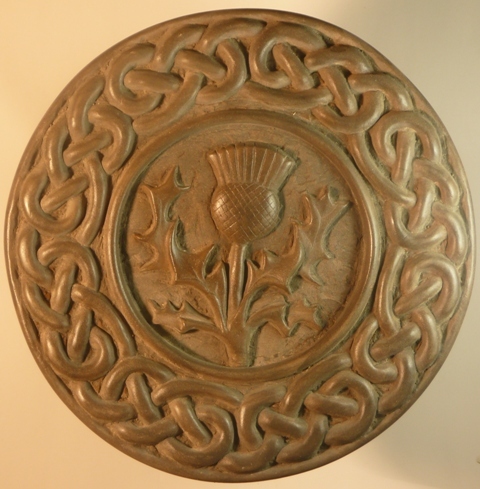 Leaf Relief hand crafts a stunning collection made by Cement Leaf Casting - including Garden Tables, Fountains, Baths, Garden Flower Bowls and Garden Mirrors. As the sole owner of Leaf Relief with a history in photographic art, Deborah Stagg began to work in cement casts and leaves in the year 2000. Over the past 14 seasons she has developed her craft as a self taught artist gradually evolving her unique techniques to include portable fountains and several other garden decor creations. Deborah has also been teaching concrete and leaf casting workshops from Calabogie to Kingston to Ottawa since 2005. Leaf Relief creates garden decor that enhances and softens the atmosphere of the garden. She works with concrete and various leaves to combine the texture and shape of nature with the function and old romance of concrete. Her fountains bring life to the garden with sound, moisture for plants and a spot for birds to take baths. They can be set up on balconies, decks or in gardens. Posted on June 16, 2015 by Lory MacDonald and filed under Sculpture, Other and tagged Leaf Relief Garden Decor Cement Casting Bird Baths Fountains Artfest Kingston Artfest. Earth Art Inspired by Ancient Cultures at Artfest Port Credit! Earthen Scultpures|Earth Art by Blake Richardson! Blake's Earth-prints: Blake uses his camera to capture what he sees in the natural forms of trees, clouds, water and so on. Following this, Blake carefully uses a fine brush and oil paints (minimally) on the surface of the photograph to enhance what he sees. Posted on April 29, 2015 by Lory MacDonald and filed under Wall Art, Sculpture, Photography and tagged Earth Art Sculptures Photography Prints Artfest Port Credit. Hand Crafted Metal Art Talent at Artfest Port Credit! 23 year old Metal Artist Cole Talbot draws upon the great outdoors to inspire his unique, one of a kind, custom creations. Cole has always been a "Dare to be Different" kind of guy. At 16 yrs. old he began etching out his own path by fusing together his love of nature and welding, creating his first distinctive piece entitled "Stand Alone". Growing up in a rural area Cole always chose time along the creek bank and hiking in the woods over video games and being indoors. A passion for nature continues to kindle his creativity spending his free time kayaking, camping, rock climbing or simply driving the country side to see where the dirt roads take him. Through four years of formal training Cole developed his skilled welding expertise. His self-taught artistic abilities are fueled by his curious mind and adventurous spirit. This young artist is quickly making a name for himself in the art world, with his pieces already being sold throughout Canada and internationally. Posted on April 15, 2015 by Lory MacDonald and filed under Sculpture, Wall Art and tagged Cole Talbot Metal Art Sculpture Wall Art Iron Oak Designs.